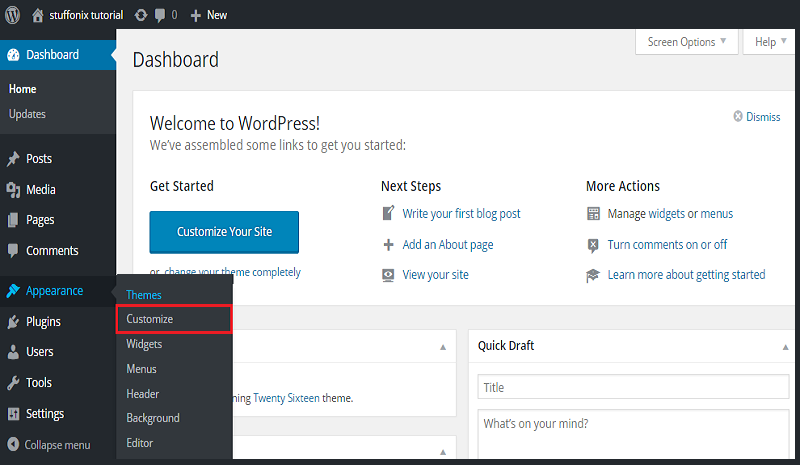 After installation of WordPress CMS beginner always in confusion what things to do after installing WordPress because they are not much aware of functionality. 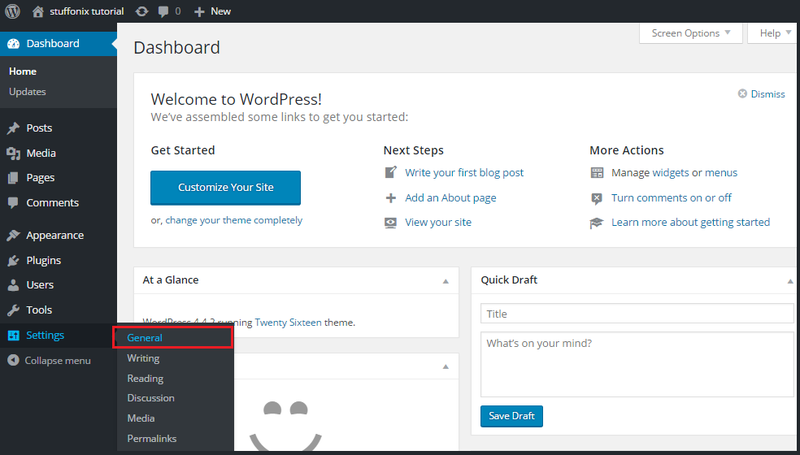 As you know WordPress comes with default dashboard, themes and all setting so before start blogging first you need to modify them as per your convenience. Once you install WordPress then you will find default page like “sample page” and post like “Hello world”.We generally not use default post & pages so please delete this default items. Delete all installed themes from your wordpress admin panel so you do not need to worry about any theme security or update theme. it also save few memory area of your server space. Default permalink not only give bad impression to user but also discourage in SEO of blog so please set permalink to correct option. Please set timezone as per your country and change date format, time format and language as per your convenience. In order to change timezone, please select settings from left menu and general from sub menu as below. Here I am changing time zone to Kolkata (India) and other data as below. For any website blog title, tagline and favicon are important part. It help in making brand. So make sure choose best one that help in recognise brand. You can change all three by following same process as they all are available at same screen. Firstly open your theme by click on Appearance in left menu and customize in submenu as below. Now select site identity option as below. Provide your site title name, tag line and select your site favicon(small image). Once provide all three information then click on save & publish..Now you can see all three as below. You can see all changes reflect n your web page. See below. You can set what you need to show on front page and how many post show on front page you can also decide whether each article in feed show full text or summery as below. your latest post :Display latest post on front page. static page : It display static page on front. You can select from given in dropdown. Blog pages show at most:Number of post show on front page . Default one is 10. Syndication feeds show the most recent: User can see number of post when download feeds. 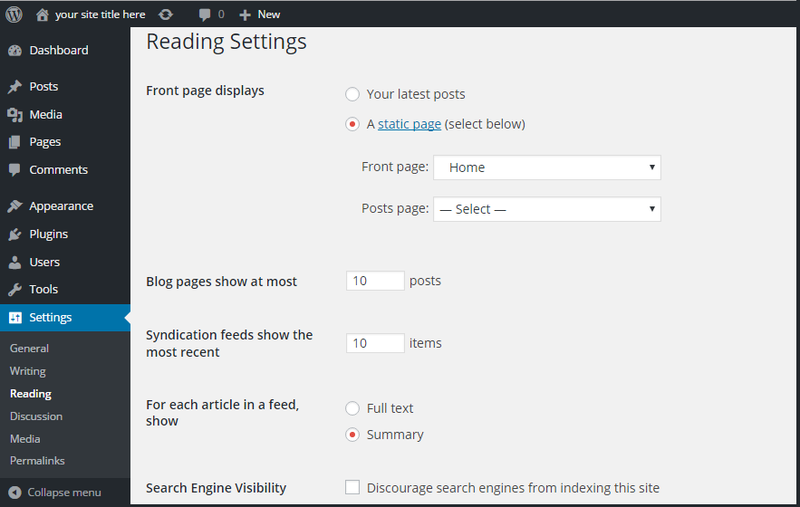 For each article in a feed, show: it display your article in summery or full format. Search Engine Visibility: If you check this box then search engine ignore your site from indexing. Note:- As per my recommendation please do not check this box. Then click on save changes button to update information. Some time we set default user name in wordpress for admin login, so chance to get hack your blog increase as hacker just guess your password and login.In order to make it more secure please change your default User name to some complex name. Plugin play great role in wordpress while we talk about efficiently use of plugin and also it help to increase functionality and reliability of blog. Below I have mention some important plugin one must install. Use to backup your all data so if by chance your data lost then you can restore easily. Many plugins available for backup data but all plugin have some similarity and some difference so use as per your convenience. Google analytics & webmaster tool: If you want to track users activity, statistics by geography and by time, keyword that redirect user and many more then install Google analytics plugin. 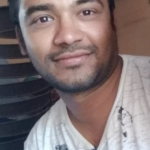 SEO plugin :-SEO help you in getting Google ranking and popularity easily So install SEO plugin to automate this process. One of the way to speed up your website is disable revision post so It keep your database smaller and make your site faster. It does not auto save your post in small time. This setting allow you to decide option concerning comment Like whether you want to allow user to comment on your blog or not, how much deep level you want, you want to close comment after specify days and many more. In order to change discussion setting just open discussion sub-menu under setting menu at left side of admin panel as below. 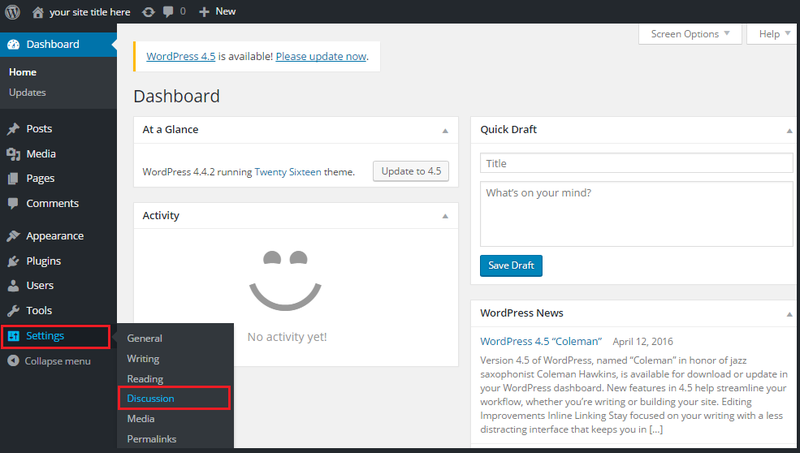 Then change setting as below image and saved it..
Hope you like this blog post and now you understand things to do after installing WordPress and what are not. If you feel any other essential steps then you can suggest in comment.